Don’t throw out the seeds when hollowing out pumpkins to make Jack-o-Lanterns or when cooking. instead turn them into a healthy snack by making roasted medicated marijuana pumpkin seeds. 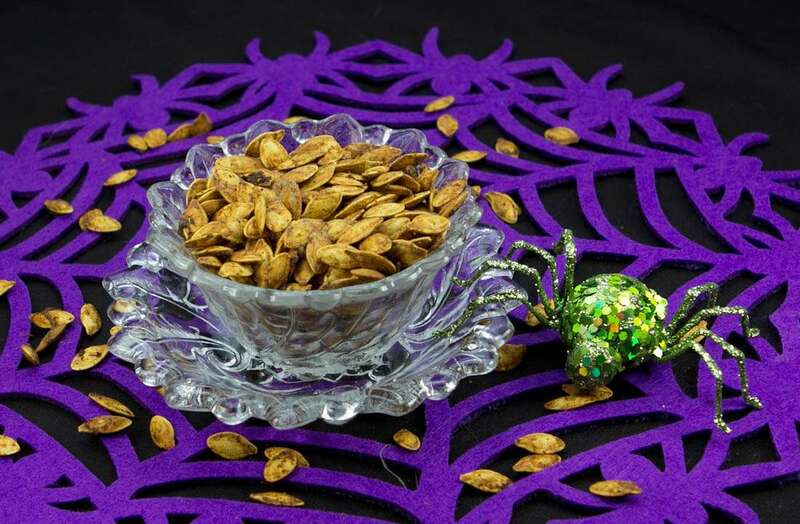 Marijuana oil is used to infuse these pumpkin seeds. This recipe can be easily varied by changing around the seasonings you use. Try seasoning salt, Cajun seasoning, Italian seasoning, or other blends and make your own favorite flavored roasted marijuana pumpkins seeds. This recipe will have about 20 mg THC per serving IF you made your marijuana oil from average cannabis (10% THC) and used 1/2 ounce of marijuana to make 1 cup oil. To adjust the dosage up or down for your personal needs and to reflect the strength of the marijuana you are cooking with and the amounts you used to make your oil, be sure to take my FREE 10 minute online Dosing Class that will teach you how to use the handy dosage calculator tool on this page. 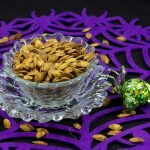 Toss pumpkin seeds with marijuana oil and seasonings. Spread seasoned pumpkin seeds on a baking sheet and bake until just starting to brown, about 30 minutes. Stored cooled marijuana pumpkin seeds in an airtight container. This tutorial will teach you to make the marijuana oil used in this recipe.